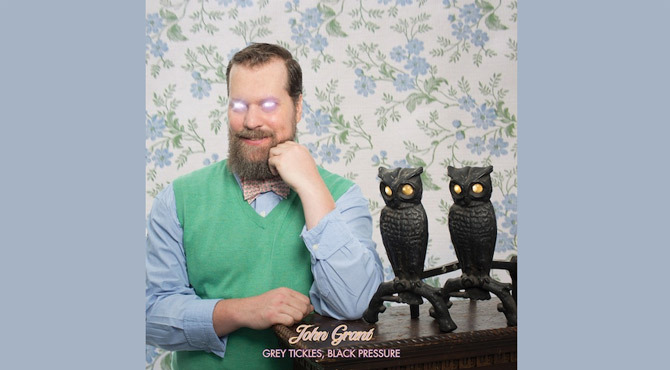 Right there is what I would say aptly describes my stance on John Grant's latest record. Love might be magic, John is undoubtedly gifted and is an incredibly talented artist, but love, as has long since been the case does not necessarily produce the best of work when compared to longing, loss and desire for instance. Don't get me wrong, this is still a very good record, but it is not Grant's finest hour. 'Love Is Magic' is characterised almost entirely by the arrangement of the opening track, 'Metamorphosis'. This is a song of polar opposites. Here John has, as the song suggests, captured a change and in doing so split the track into two distinctively different parts. Grant is either displaying manic agitation through the seemingly random outburst, "Who created Isis? Earthquakes, forest fires, hot Brazilian boys, sweetcorn from the can, yeast infections, broccoli with cheese sauce..." or creating a sombre extended cinematic soundscape. The album is certainly creative and takes Grant into musical areas that we may not have associated him with to date. 'Preppy Boy', an upbeat Techno, Disco, Hi-NRG fusion bounces along with many humorous asides and a ridiculously catchy chorus. 'He's Got His Mother's Hips', a deviant pop ditty, highlights John's forte for the tongue-in-cheek lyric, "He's serving cheese fondue on the polar bear rug but the room is bugged", over a higher tempo Yazoo/Depeche Mode like soundtrack. 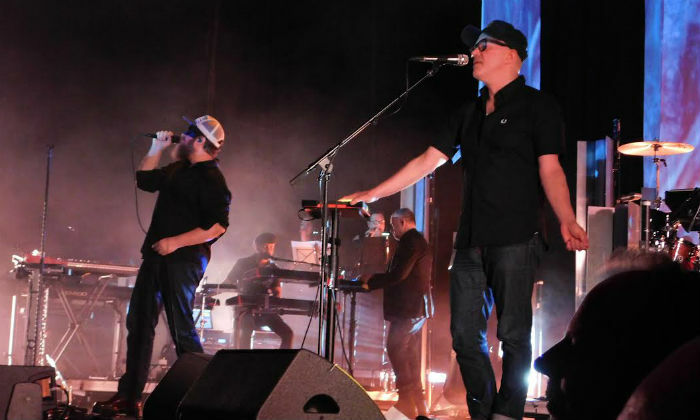 'Diet Gum', the album's longest track, shares similarities with the opener. The agitated conversational exchange delivered through a series of immature but hilarious insults - "Dr Turdface, stupidzilla" to name but two - switches as the protagonist in the song attempts to back-pedal and a largely instrumental last third of the song ensues. Where Grant is on more familiar ground is where the album is more comfortable, not as challenging and, on the whole, better. 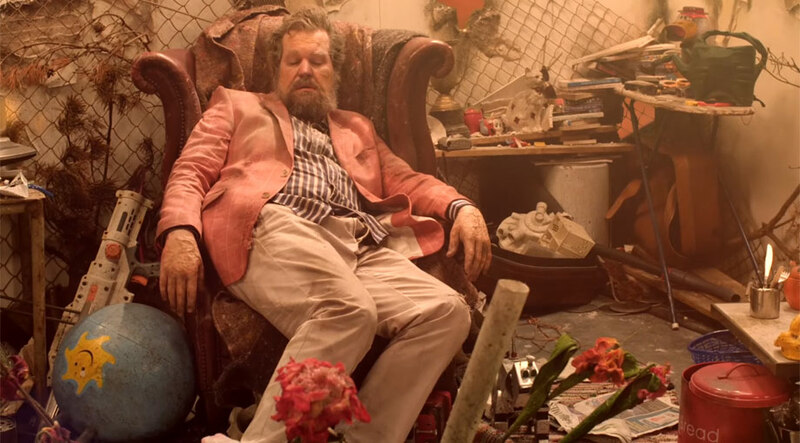 'Tempest' is classic John Grant; brooding synths and soulful, tempered vocals. The sweeping electro flourishes imbue a sinister undercurrent, like Moroder on Diazepam. A song about a small stocky wading bird, 'The Common Snipe', is a swirling and exploratory meander that sees John in a reflective mood. Piano-led close-out track, 'Touch And Go', has Grant channelling his inner Billy Joel and the slower ballad 'Is He Strange' is a wonderfully relaxed, harmonised lament with a terrific accompanying bass-line that sits under JG's mildly melancholic but warm vocal. 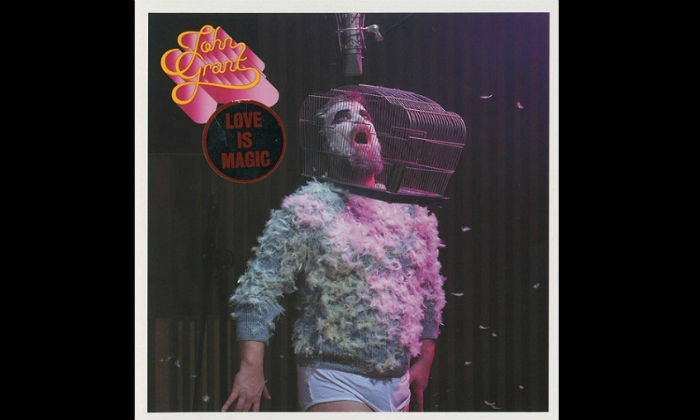 John Grant's latest album 'Love Is Magic' is at times beautiful, at times bizarre and sometimes bemusing. It is a thought-provoking, artistic and incredibly creative musical conundrum that requires your attention but doesn't necessarily always win you over.